Sky News has been widely condemned for hosting a neo-Nazi on its TV station. Workers say "Disability: not for sale"
On April 14 hundreds of disability workers rallied in Melbourne against the state government's proposal to privatise disability services. Privatisation will reduce service quality for people with a disability and make job security and wages and conditions less certain for disability workers. Before being elected, Premier Daniel Andrews promised he would not contract out public sector disability services. Victoria has become the first state in Australia to legalise the use of medicinal cannabis. Children with severe epilepsy will be the first to access the drug in 2017, Victoria's Health Minister Jill Hennessy said, after the Access to Medicinal Cannabis Bill 2015 passed parliament. Refugee activists Karoline Morwitzer and Emily Connors, who allegedly interrupted the Australian Open tennis tournament during last year’s men’s singles final by unfurling a banner demanding the closure of the Manus Island immigration detention centre, have had all charges dismissed. In the middle of the second set of the final, protesters draped the banner over the court wall. The protest was filmed by television cameras and broadcast around the world. The revelations from the Panama papers continue to reverberate around the world. While the Australian angle has so far been a bit anticlimactic, it did kick off a discussion about the banking sector and tax havens. Bill Shorten, in an uncharacteristic display of spinal-cord solidification, seized the initiative and announced that the Labor Party would conduct a Royal Commission into the banking industry if elected. Twenty of Sydney's wealthiest private schools received $111 million in public money last year, allowing them to build tennis courts, flyover theatre towers, multi-story carparks and swimming pools with underwater cameras. According to MySchool data, the five most expensive schools in Sydney have received more than $92 million in state and federal government funding since 2012, equivalent to the total cost of building three new public schools. More than 300 doctors have signed an open letter demanding the state government develop a plan to shut down the Latrobe Valley's brown coal power plants because of the health damage they cause the local community. The letter, organised by Doctors for the Environment, argues a transition away from brown coal-fired power — responsible for 85% of Victoria's electricity generation — is necessary because its pollution is responsible for local disease, and even death, and poses a broader health threat through its contribution to climate change. 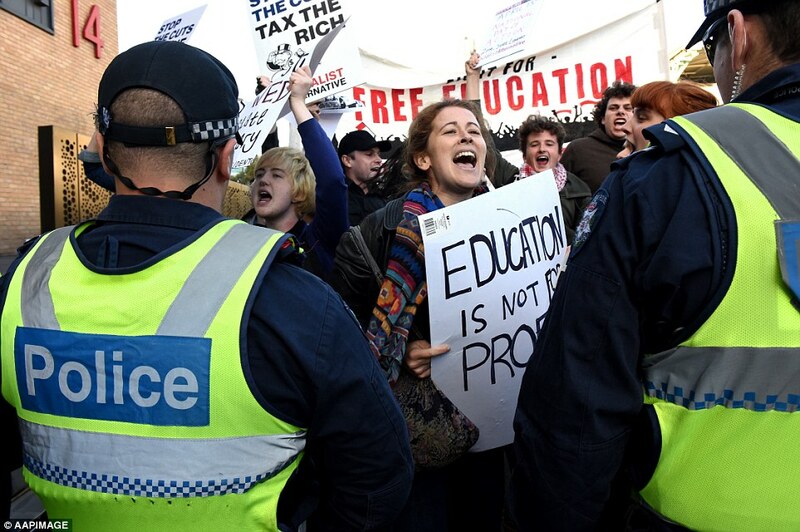 About 200 unionists, refugee activists and students rallying in Melbourne on April 8 outside a Liberal Party fundraiser to celebrate 20 years since the election of the Howard government, were attacked by police on horses and the indiscriminate use of pepper spray. 150 people rallied at the Stirling Gardens and then marched through the streets of Perth in protest against ongoing Black deaths in custody in Australia. The Mike Baird government's push for local government to roll over to its forced amalgamation push is looking decidedly shambolic. 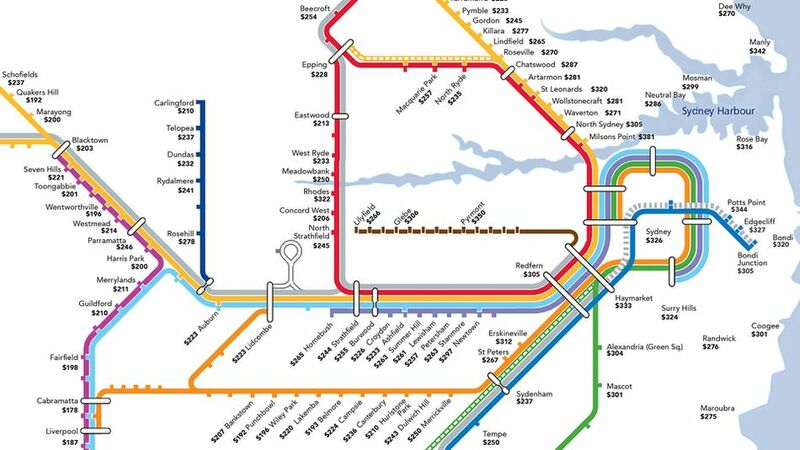 The NSW government wants to reduce 43 Sydney councils to 25 and 109 regional councils to 87. It has argued that efficiencies and savings will be made by doing so. But it is facing stiff opposition from progressive and conservative councils alike. Even federal Liberal and National MPs, worried about their seats, have urged Baird to back off. 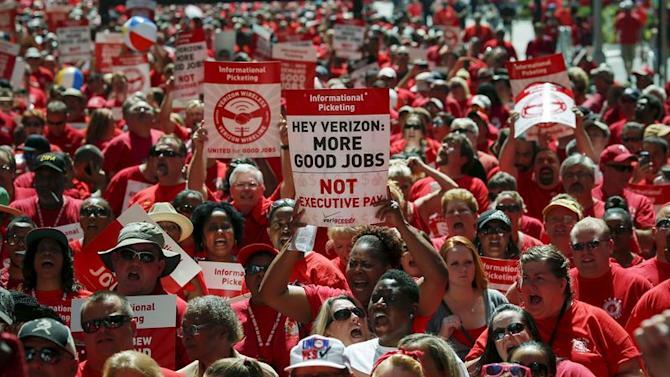 Chicago Mayor Rahm Emanuel and Illinois Governor Bruce Rauner came under fire on April 1 in a day of action by teachers and others who took to the streets to protest their austerity policies. Revealing the bipartisan support for austerity un US politics, Emanuel is a Democrat who was Barack Obama’s White House Chief of Staff during his first term while Rauner is a conservative Republican. 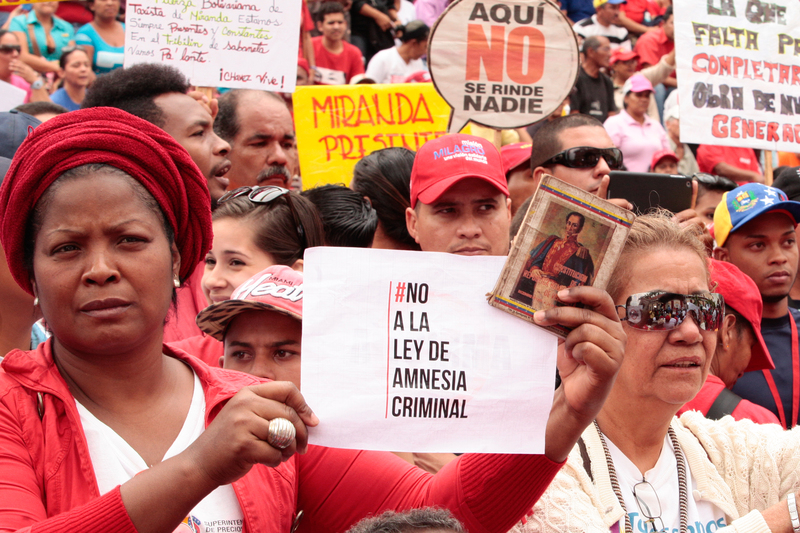 The Venezuelan Supreme Court unanimously ruled on April 11 that a controversial “amnesty law” passed by the country's right-wing opposition-controlled parliament is unconstitutional, Venezuela Analysis said the next day. 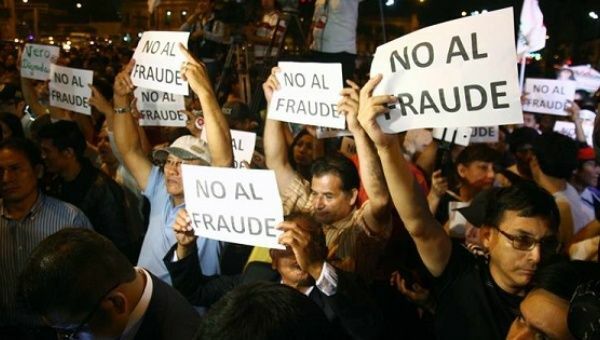 Supporters of leftist candidate Veronika Mendoza protest electoral fraud. Lima, April 10. Photo: EFE. Peruvian left-wing presidential candidate Veronika Mendoza came third in the first round of Peru's presidential elections on April 10, behind former World Bank economist Pedro Pablo Kuczynski and Keiko Fujimoro, the daughter of a jailed ex-president. International delegations from more than 20 different countries gathered with Honduran social movements on April 14 to demand justice for Berta Caceres, the environmentalist and indigenous activist assassinated in the Central American nation on March 3. Since the 2009 US-backed coup that removed elected President Manuel Zelaya, 59 journalists have been assassinated in Honduras, with four murdered this year. Last year, 12 journalists were murdered. In April last year, the Honduras National Congress approved the Journalist Protection Law, which included measures like providing police protection when a journalist receives a threat. The law also planned the creation of a centre monitoring threat follow-ups, although the government has not yet approved the budget. Pedro Brieger, an independent journalist and sociologist at the University of Buenos Aires, told The Real News on April 13 that Argentines view the government's attempts to silence pan-American news station TeleSUR as the loss of one of the only alternative voices for news in Latin America. 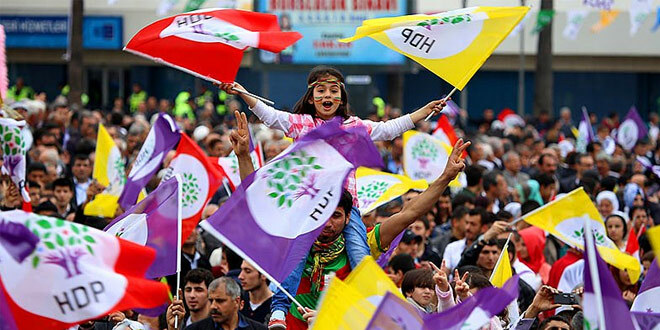 The Peoples’ Democratic Party (HDP), a Kurdish-led party that has united a swath of Turkey’s broad left, has proposed a new law in parliament to establish peace and legally guarantee all peace talks regarding the Kurdish question. The move comes as the Turkish government, having ended peace talks with the Kurdistan Workers’ Party (PKK) last year, carries out a brutal war on largely Kurdish areas in Turkey. 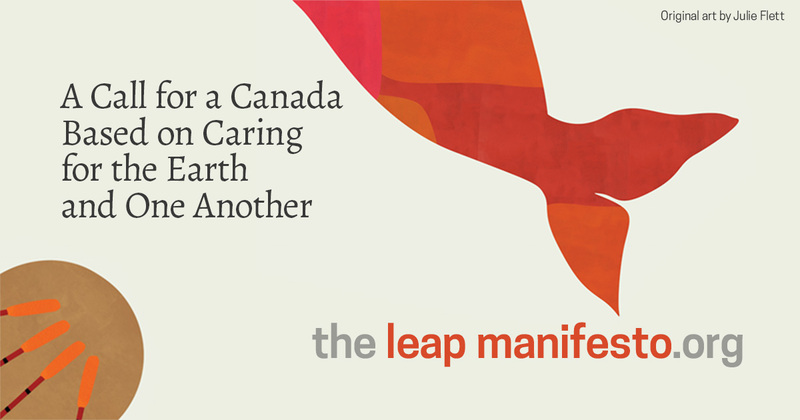 Five hundred Toronto-area supporters crowded into a west-end school auditorium March 29 to support the Leap Manifesto, for a “justice-based” energy transition to renewable economy. In Washington, DC, police arrested about 85 more protesters taking part in the "Democracy Spring" actions against corporate lobbying and big money in politics on April 13, Democracy Now! said that day. Wal-Mart, Apple, Walt Disney, Goldman Sachs and Coca-Cola are just a few of the US corporate giants who have more than a trillion dollars hidden in offshore tax havens, according to a report released on April 14 by Oxfam. The report, titled Broken at the Top, reveals the 50 biggest US companies' dodgy tax practices, which includes owning more than 1600 subsidiaries in tax havens which have helped them stash US$1.3 trillion between 2008 and 2014. Baran, a Kurdish political activist who now lives in exile, described the massacres taking place in Kurdish cities in Turkey. Baran is from Amed, or Diyarbakır in Turkish. A wedge is being quickly driven through Pretoria's political elite. Among the victims of this power struggle are vast numbers of poor people. The poor are starting to bear the brunt of the diverse shakeouts in the ongoing confrontation now underway between the country's two most powerful 21st century politicians: President Jacob Zuma and his predecessor Thabo Mbeki. That battle began in 2005, when Mbeki sacked then-deputy president Zuma following a corruption conviction against a long-time Zuma associate. Dinko Valev, the Bulgarian neo-Nazi vigilante keeping refugees out of Germany … and in Bulgaria. There is a so-called “Refugee Hunter” called Dinko Valev who has become infamous within Bulgaria and the EU for assaulting and illegally detaining asylum seekers who he finds have entered Bulgaria from the Turkish border. "Let's take the big banks head on over their crimes and their attempts to cover up their massive financial rip-offs, and nationalise them under workers' and community control," Peter Boyle, Socialist Alliance candidate for the seat of Sydney in the upcoming federal election, said on April 14. Boyle was responding to reports the banks were considering a huge advertising blitz against plans by the Greens and the Labor Party to launch a Royal Commission into the banking and finance sectors. The Construction Forestry and Mining Employees Union (CFMEU) has produced this short explanation of what the Australian Building and Construction Commission (ABCC) is and what it will mean for Australian workers. The ABCC, or the Australian Building and Construction Commission, was created by John Howard in 2005. It was abolished in 2012, but now Malcolm Turnbull wants to bring it back — only it’s going to be bigger and more powerful. How hard can it be to find a room to rent? I moved to Sydney at the start of this year. For months I have spent every Sunday I'm not working rushing around the Inner West being interviewed as a flatmate, only to suffer rejection after silent rejection. The gender pay gap is a serious issue in Australia, and there has been much talk about the 17.9% pay differential. One such effort to educate and open debate, however, was met with alarming backlash. The University of Queensland's annual Feminist Week, hosted jointly by the UQ Union (UQU) and the UQU Women's Collective, held events from April 4 to 8, aiming to educate and broaden the student population's perspective on feminism. Fifty years ago building worker activists took back control of their union, the NSW Builders Labourers Federation (BLF), from a leadership clique that ignored the members. Under the new leadership of , the re-energised BLF created high standards for workplace safety, decent pay, union democracy, accountable leadership, community engagement and, most famously, Green Bans. The Beyond Coal Gas Conference held over April 9 to 11 at Myuna Bay invited many Aboriginal leaders involved in the struggle against fracking or coalmining on their country to share their stories and promote solidarity with their campaigns. Speakers over the three days included Kylie Sambo from SEED, the Indigenous youth climate network; Gadrian Hooson from the NT campaign against fracking in Borroloola and other Aboriginal communities; Paul Spearim from the Gamilaraay People and Clan Groups against CSG and Coalmining; and Balai elder Mabel Quakawoot. I had a call from Rosalie Kunoth-Monks the other day. Rosalie is an elder of the Arrernte-Alyawarra people, who lives in Utopia, a vast and remote region in the "red heart" of Australia. The nearest town is Alice Springs, more than 300 kilometres across an ancient landscape of spinifex and swirling skeins of red dust. The first Europeans who came here, perhaps demented by the heat, imagined a white utopia that was not theirs to imagine; for this is a sacred place, the homeland of the oldest, most continuous human presence on earth. The Panama Papers provide proof that many politicians, capitalists and members of royalty use overseas tax havens to escape paying tax on their activities in the countries where they reside. What does the process involve and who benefits at whose expense? The Australian Tax Office (ATO) makes it crystal clear that individuals and businesses are legally obliged to declare all their worldwide income to the ATO every year. “Their” income does not only mean payments received in their name personally, but also includes any kind of income in which they have a “beneficial interest”. Thousands of jobs are once against at risk in Australia's shrinking steel industry as Arrium, the company that owns the steelworks in Whyalla, South Australia, announced it was having difficulty servicing its more than $2 billion loan. The company wants the government to bail it out and that seems to be the only “solution” that the union movement and the major parties can imagine. But will a bailout save jobs or even save what is left of the steel industry in Australia? The historical record suggests otherwise. Nuclear waste dump in South Australia: what could possibly go wrong? As a sagging economy cruelled their electoral chances, right-wing parliamentarians and power-brokers in the South Australian Labor Party decided in late 2014 that it was time to ditch a once fiercely-defended point of policy. The party's remaining opposition to the nuclear fuel cycle would have to go. Labor Premier Jay Weatherill soon came on board, and by March last year the state's Nuclear Fuel Cycle Royal Commission was under way. At the edge of the south east, the Arctic is nebulous, but its ice shards are felt on the hands, and you can feel tingles of dim isolation in the wildness of Tasmania's oceans. Sequences and currents from Tasmania's Huon Valley rivers and Cygnet Bay dip to the deep-sea behind the pristine Bruny Island. The bio-network of inlets, bays and streams move lightly and serenely downwards with the humid vapour of the mountains. Sheltered water habitats protect rare crays, platypus, seals and southern right whales. In all the official Anzac 100-year commemorations to remember and celebrate the undoubted courage of World War I diggers, there is an extraordinary amnesia about how ambivalent Australians were about that war. This ambivalence grew as mounting casualties affected families all over the country and the 1916 Irish Easter Uprising was brutally supressed. The Sherpa are a Nepalese ethnic minority who have a reverent regard for the world’s highest mountain, Chomolungma — known in English as Everest. As part of the Sydney Comedy Festival now under way, writers of satirical website The (un)Australian have put together a live show of political satire and sketches for May 3 — which also happens to be Budget night. 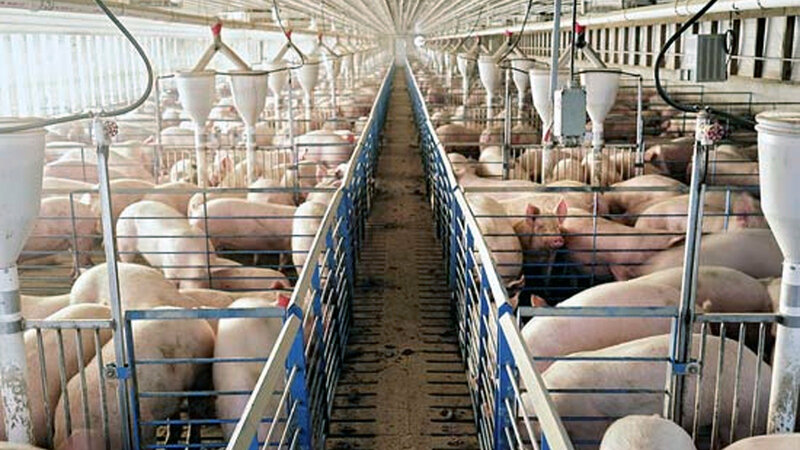 It is impossible to read Farmageddon: The True Cost of Cheap Meat without coming to the conclusion that the world's food and agriculture system is screwed.